I try hard not to compare my children with each other. I’m very conscious of letting them be the people they are without trying to label them. It isn’t easy of course as it’s human nature to try to label things so we can understand them. I have two very strong of mind children however. Actually, all four of us are very strong of mind. It makes for interesting times and will continue to do so as they grow and want to exercise their own opinions more. 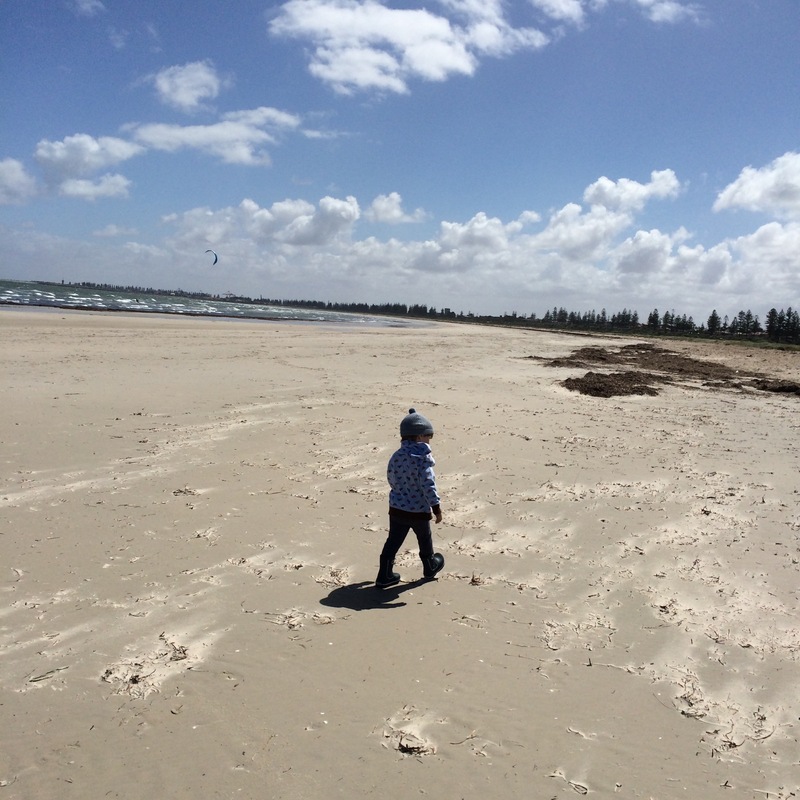 As I watched Mr 3 joyfully run up and down the beach yesterday though, squealing happily as sand was tossed towards us by the wind, I was struck with just how joyful he is. And he is full of joy. He has a lightness that the rest of us don’t have. He’s quick to laugh, will find the silly in a situation in order to lighten the mood. He is full of love and wonder. I was also caught in thought about the baby he was – fair to say he was a pretty miserable baby. He screamed a lot and loud. We walked laps of the backyard under the stars singing to him nightly for months. Until perhaps six months ago suffered from incredible separation anxiety. I tried a lot of things to make him happier. I had people tell me it wasn’t “normal” for a child to be this way. And though I questioned myself as a result of these comments my internal voice took it as a sign he needed my extra reassurance and did whatever it took to let him know he was loved. I left for work many a morning in tears as he screamed behind me, knowing the screaming would not in fact stop for perhaps hours to come. Over time my reassurances that I would always be back seemed to work and he became happier to be left. But it took a long time for that to happen. And so….My joyful child worked hard to be so. And so did I. 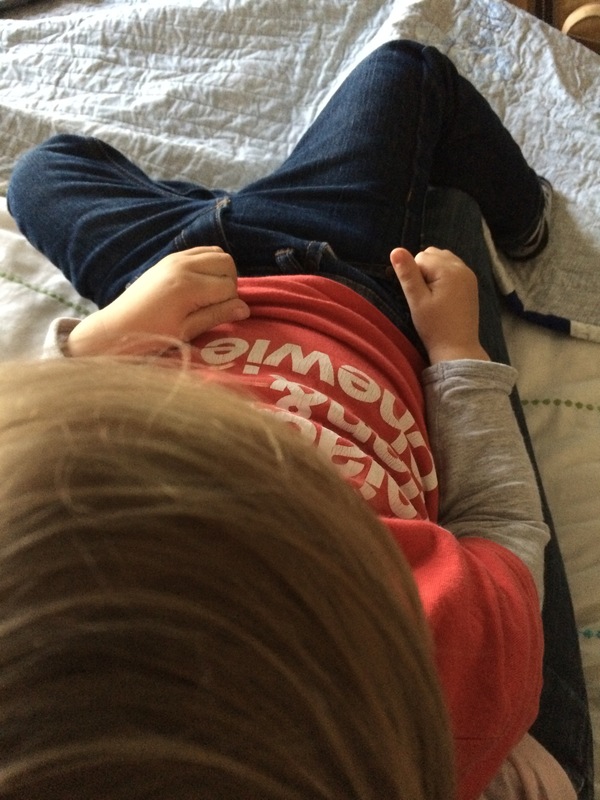 This entry was posted in family, love, mama-hood, toddler-dom on October 28, 2014 by catbeloverly. Monday morning Mr 5 woke with a mild fever and complained of a sore stomach. Mr Be Loverly and I passed a knowing glance at one another and in that look we knew we would play along. 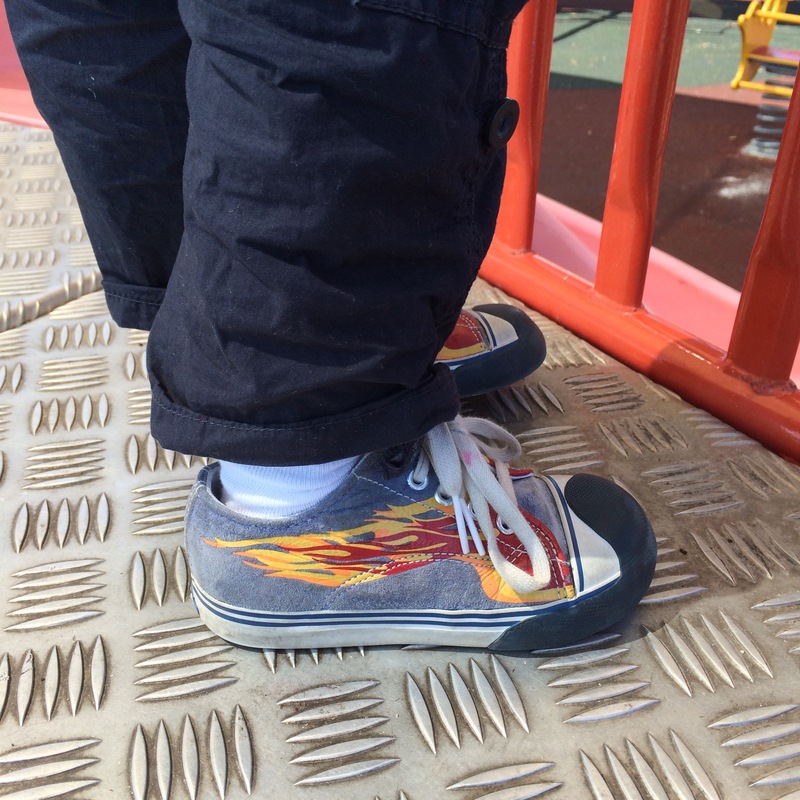 Though this seems to be a thing that happens just before his birthday every year (the amazing Planning with Kids blog posts on half ages gave me incredible insight in to this – read here on the characteristics around this). This year though, is different….it’s the first real time he’s had peer influences. He’s in the third term of his school journey and though he’s made friendships before he’s really been thrust out in to the world this year. Something I have mixed feelings about. Five is just, still, so young. And five days a week just seems so much for a small child to be in the formal school environment (how I would LOVE to have the French model where children go to school four days a week!). It’s also the first time that we, as a family, have encountered people whose ideas about how to raise a family are different to ours and so it’s a lesson to us all. We are quite mindful of our principles as a family and we talk openly about what we believe in – kindness, learning, love of each other, loyalty, humour, self awareness. It’s firmly entrenched in Mr 5’s mind and he knows himself well. We are a household full of strong characters. BUT he is only five and the unkindness he is experiencing from his peers is wearing him down a little. He has been torn between wanting to play with his friends and disengaging from play he knows to be wrong. He needed space to talk about this, to ask questions and process how this all fits together. The tantrums we’ve experienced the last week or so are evidence of this. His teacher is marvelous and we trust the school to deal appropriately but it’s not possible for them to see everything and be everywhere and besides, resilience is an important lesson. Though he will grow and experience much that is out of our influence he will always have space in our home to just be, talk, be angry, laugh, cry, play. And it is our greatest hope that both our boys will understand that on every level. This entry was posted in family, love, mama-hood, things i'm learning, what I believe on September 12, 2014 by catbeloverly. The lovely Reem tweeted Amy and th3litteredhen and me on Saturday asking for some kiddo inclusive baking recipes. By the time I got back to her with ideas (I was at my much loved weekly Pilates session) she’d already made fruit scones and then, of course, I had to make scones too. We still have a LOT of broccoli to use up and I went savoury cos lunchboxes and two birds with one stone and all that! Now this recipe is one of my favourite kinds – using lots of good, healthy ingredients that are needing using up from the fridge and it is a one bowl mix situation plus created very few dishes. The kiddos even ate them happily so WIN! 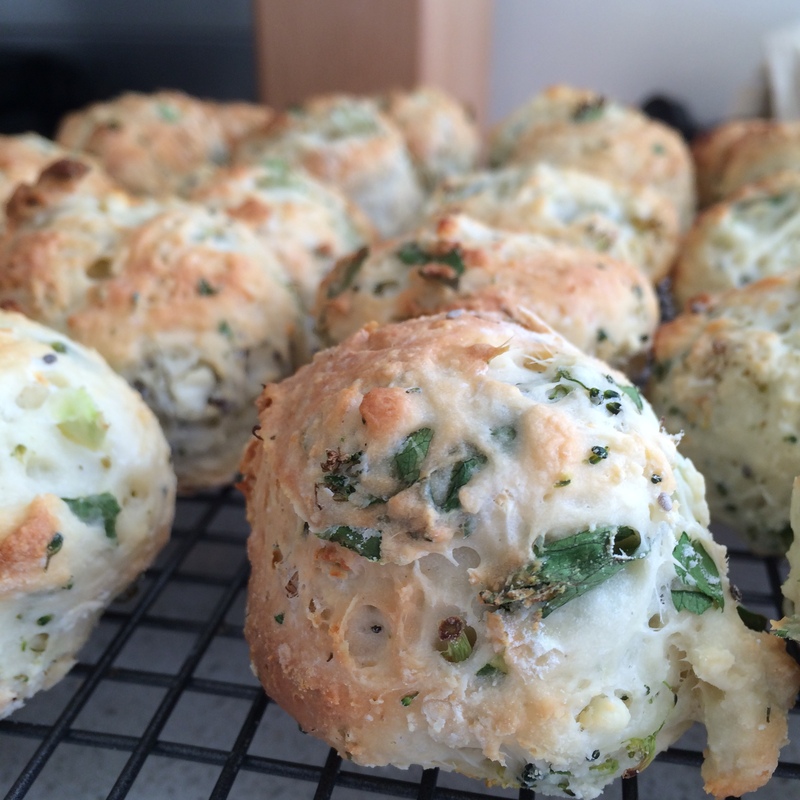 Place all ingredients in a large bowl and mix….don’t overmix as scones aren’t very forgiving with that. Put mix on lightly floured benchtop and gently press the mix down until it’s about 2.5cm thick but truly, this doesn’t matter too much as long as the size you go with is consistent and you adjust cooking time accordingly. Cut out the scones with an espresso cup or something of that ilk and place on a lined baking tray. When you’ve cut out as many as you can, lightly bring together dough and press it out again. Brush the scones with a bit of milk – this makes them go a lovely golden brown on top – and bake for around 15 minutes but check at the 10 minute mark to see how they’re faring. Allow to cool on an cooling rack and place in air tight container. They’ll last a few days in a container but as with all scones will freeze really well too. This entry was posted in food, lunchboxes, recipes on September 8, 2014 by catbeloverly. Given the sheer number of ricotta based recipes I’ve blogged over the years it’s hardly surprising for you to hear I rather love the stuff. The only thing is that it is best served as fresh as possible so after I’ve gobbled some up fresh on my toast with honey I start looking to what I can cook with it. I spied some sweet fritoles on a facebook page I follow and knew I had to try making some. 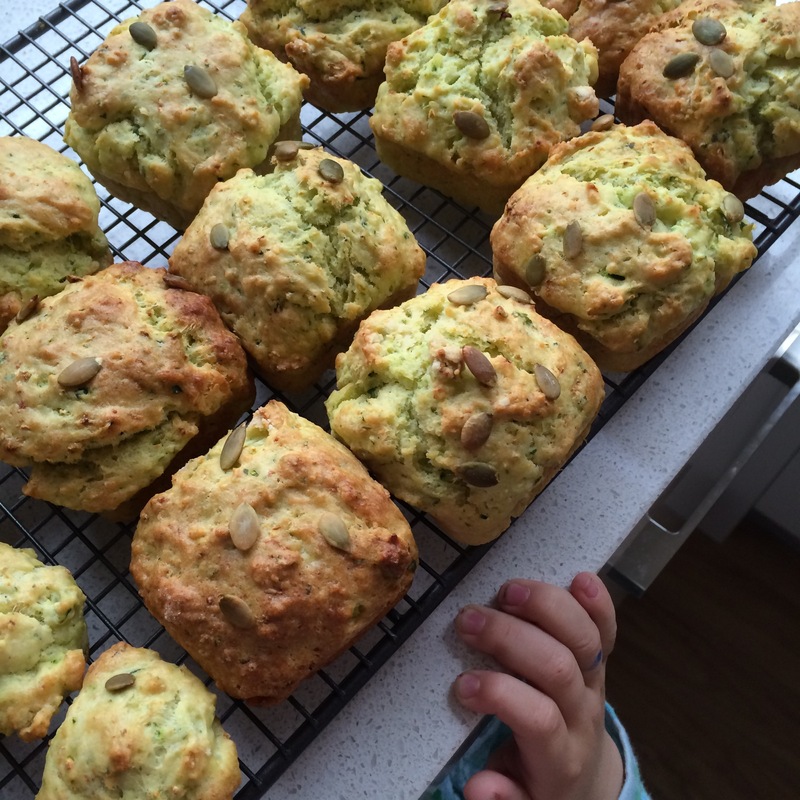 My Nonna makes them sweet and I remember eating them as a child….but I wanted, as always, to try and veggie smuggle for the kiddos, especially Mr 2 and we have so much broccoli to use up that I thought I’d give that a go. 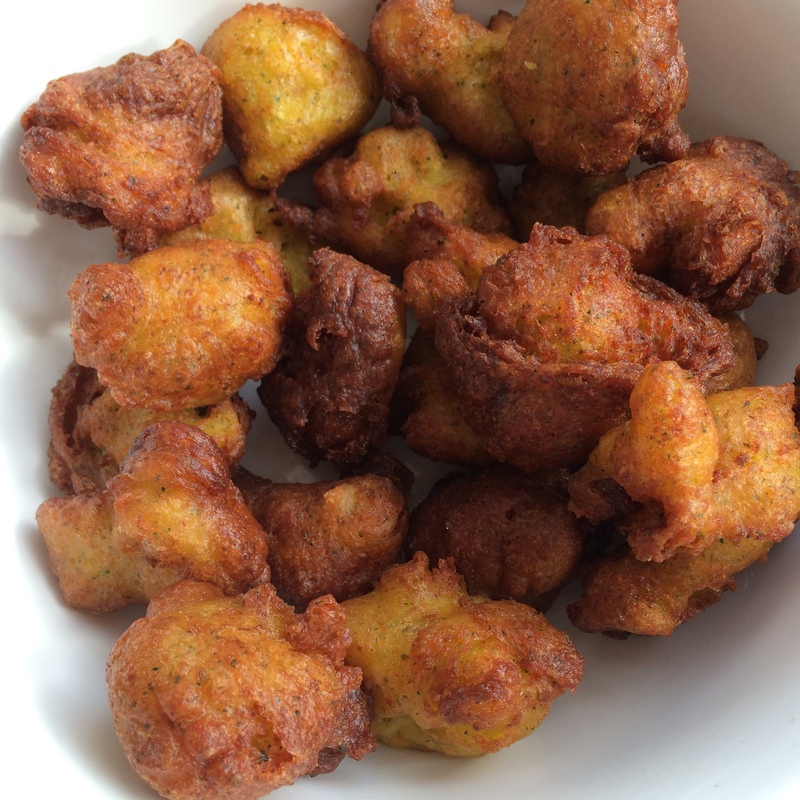 I found lots of recipes for fritters but none for these puffy looking morsels so I rang my Dad to ask his advice. I did mine all in the food processor initially (cos I’m lazy!) and then, as I had already been using the little deep frier machine we have, I used that. But usually, when I fry something I do it in tiny batches in a very small saucepan so I don’t use heaps of oil. 1 orange, zested and a little of the juice from half of the orange – use lemon if you like but I went with orange because we have so many to use up too! Put all the ingredients in the food processor and whizz until it’s all mixed up nicely. If you don’t have one grate the veggies and pop it all in a bowl together. When oil is to temperature spoon tablespoons of the mixture carefully in to the oil and fry for around 3-5 minutes until golden brown. If they’re not cooking on the top you may have to spin them over to cook evenly. These are absolutely best served fresh and I dipped mine in some yoghurt. Yum! But if you want to cook them in advance, reheat them in the oven til they crisp up again. They’ll kind of deflate a bit when sitting about. The recipe above makes LOTS so do feel free to halve. I gifted some of them to my Mum and a friend and we still had lots of them. As always, if you give them a try I would love to know what you think! This entry was posted in family, food, recipes on September 6, 2014 by catbeloverly. Our freezer stocks for lunchboxes is running low so over the next few days I’m concentrating on restocking supplies. Mr 5 is a fabulous eater and I love having a freezer full of goodies to choose from for his lunches. He’s really proud of his lunches too and his teacher giggles at how excited he gets about what he’s packed. Yesterday Mr 2 was really unwell. He napped for over two hours which he has probably never done in his life. I think I blocked out the first year of his life as I truly can’t remember if he’s done it previously. I decided to make him a raw coconut and cacao treat and with all that was on my mind I shoved my finger in the hand held food processor/whizzy thing. Major cut on my index finger – gory and ick and I cried hugely. So I’ve been cooking with an injury. Oh woe is me. 🙂 Like small children do though, he got sick quickly and has recovered quickly, waking at 4am for the day and he is very chipper indeed! To manage some of his energy we’ve been cooking this morning. He will eat almost anything if he’s helped cook it so there’s method in my madness. In addition to the muffins we’ve made a batch of oat, quinoa and strawberry breakfast cookies and these chickpea and chocolate biscuits though I held the peanut butter to make them lunchbox friendly. Anyway, these muffins are really lovely and fluffy, I think the ricotta helps with that. 2 tbsp coriander, finely chopped – if coriander isn’t your thing use any herbs you like! And dried is ok too. Preheat oven to 200 degrees celsius. If you would like to use muffin papers line a 12 cup muffin tray with them, if not, grease the muffin tin. Combine the eggs, ricotta, milk, and coconut butter in a bowl. Grate the zucchini in to the bowl. Place chopped herbs in same bowl. In a separate large bowl combine flour, salt and baking powder. Make a well in the centre and add the egg mixture. Mix carefully – easier said than done when a toddler is involved. The more you mix it the tougher it’ll be. Spoon mix in to muffin tins til around 3/4 full, then scatter a few pepitas on top. Bake for 20-25 minutes or until golden brown on top. This made around 18 muffins for us. 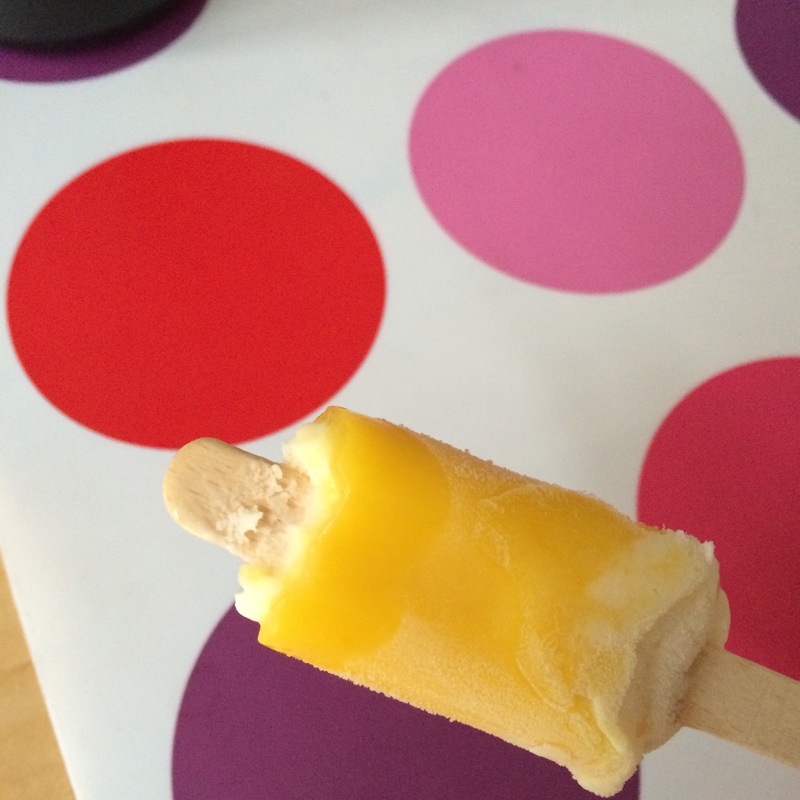 This entry was posted in food, lunchboxes, recipes on August 23, 2014 by catbeloverly.